Step 1. Don’t attack soldiers or civilians. Pretty much anywhere in the world, if a cop is in a shootout with a hostage-holding perp, and the cop carefully squeezes off a shot to hit the assailant – but, unfortunately, hits the hostage – the perp is and should be found guilty of being responsible for putting the hostage in harm’s way. Except, of course, when it comes to Israel and Jews. All of the rockets and mortars, infiltrations and tunneling, incendiary kites and balloons, the so-called “March of Return” – all target Israel proper – NOT the “West Bank.” So, apparently, the issue is the existence of Israel itself and not disputed territories. Gazans could’ve had a new Taiwan, a Hong Kong, a Singapore sur-le-Méditerranée. But instead, with virulent malice aforethought, repeatedly chose Iran, ISIS, and Hezbollah as a national template. Remember: in the name of peace, Israel left every inch of Gaza in 2005, pulling out some 9,000 residents, cattle, cars, and even coffins – all in order to give Gazans a chance at showing what they’d do with the opportunity – a unprecendented gesture in Israeli, or possibly any other nation’s, history. Well. They sure showed us, alright: they destroyed tens of millions of dollars of infrastructure, greenhouses and farms, looted donations, buildings, and torched and desecrated a string of synagogues left behind. They started a rocket war against close to a million civilians throughout southern and central Israel with tens of thousands of Kassam and Grad rockets and mortar shells, killing dozens and maiming hundreds, and leaving an entire generation suffering clinical levels of PTSD and other conflict-related ailments. They dug some 40 terror attack tunnels beneath and into Israel, only a percentage of which have been discovered and destroyed. But not to worry – they’re still digging. 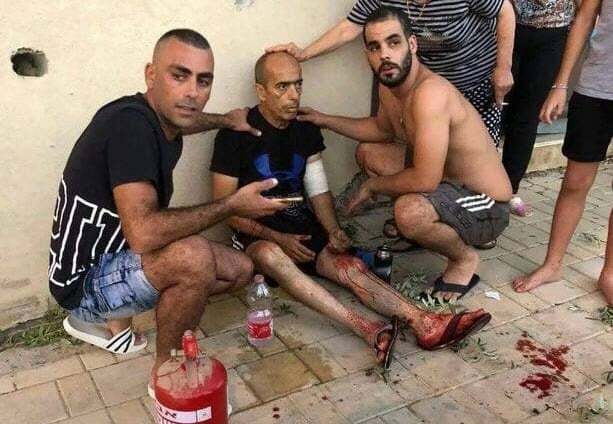 They proudly told their people – in videos, on Facebook, Twitter, in broadcast media interviews and on posters that the “Great March of Return” was into Israel proper, and the explicit aim was to murder and rampage throughout neighboring towns and villages. There are scores of stunningly obvious examples of the mass public warmongering and murderous intentions shot throughout their social media, tv, radio, print, and possibly, by now, inscribed on stone tablets for future generations. This isn’t “hasbara,” a dark secret, or an Israeli plot to harm anyone. Israel and the world at large stood by with millions – maybe billions – of dollars, in funds and grants waiting to build a new future for Gazans. Greenhouses, related agricultural gear – all left intact and lacking only water. Until Hamas used the thousands of sections of Israeli – supplied irrigation pipes as rocket segments. The IDF dropped batches of leaflets across the areas in question, as well as broadcast throughout the media, in Arabic, warning them not to approach the fence. Despite the warnings, they approached the fence, set tires on fire to cover their advancement, and opened fire at troops, hurled firebombs, bomb and Molotov-laden kites to burn our fields and homes, and some succeeded in sneaking into Israeli territory, waving grenades, guns and machetes. Despite all this, Israel has treated and continues to thousands of Palestinian Gazans and West Bank residents daily, weekly, and annually. Thousands of trucks bearing goods, foods and supplied enter Gaza monthly. And yet, critics have the pompous gall to lecture us about showing humanity? Tell me: when Gazans THREE times in about as many weeks burned down and destroyed THEIR OWN transfer terminal, and refused Israeli medical and basic foodstuffs – how would you respond if you were in our shoes? Which part of “we will do any and everything to protect our children, families, and countrymen from a seething mob proudly bent on mass murder” do you not understand? Politicians and media figures talk about Israelis here, who are – literally, and not rhetorically, metaphorically, or academically – under weapon and real fire, as thought they have more genetic material than us, more caring souls and plain old loving-kindness than us mere knuckle-dragging brutes. And remember: those achingly earnest expressions of selective caring aren’t – in reality – actually helping a single, sole individual on any side – except, maybe to assuage the consciences of the self-absorbed prattlers. 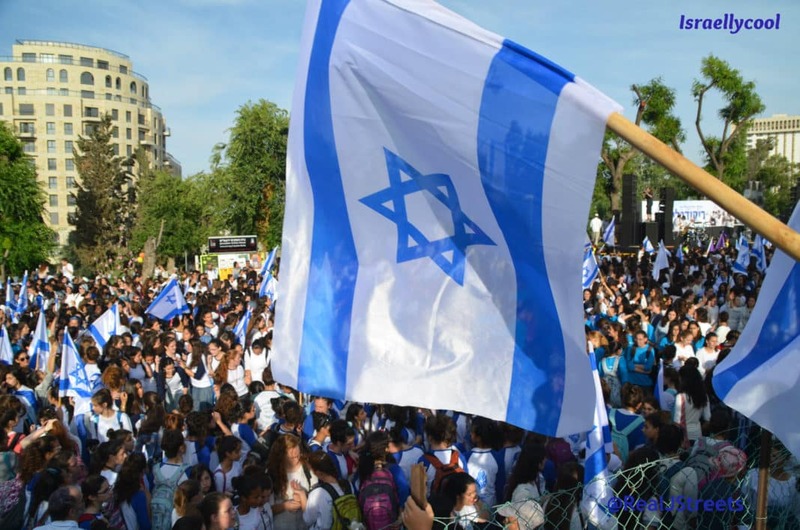 And, in fact, the honestly proffered sympathy and well-meaning concern has, instead, been weaponized as a sort of “depleted pity” round against us, and, incidentally and ironically, against Jews and pro-Israel supporters abroad, as well. Such a weapon is aimed, first and foremost, at paralyzing and demonizing clear and crucial discussion and debate about how to best thwart killers and those subscribing to their supremacist ideology. However, please understand: I, nor others here “hate” Palestinians or Arabs as such, and it’s wildly condescending and presumptuous to claim we do. That nattering interlopers respond to the situation like educators at a Montessori school gamely trying to pry apart squabbling children is, frankly, insulting. Simply, literally, factually, put – they just don’t get it. They’re honestly ready to die down to the last Israeli for their facile, and failed, moralisms. And so, the directness and even – yes, heaven forfend – rudeness you’re sensing here amounts to astonished indignance by greater and greater swaths of Israelis at the intellectual obtuseness, moral smugness, and vacuous virtue-signaling by those abroad who’d presume themselves our moral superiors and dole out pieties instead of allowing us to deal with the central question: how to best protect ourselves in the face of repeated attempts at mass murder. If observers – outrageously – after all this still expect us to explain or apologize for trying to stay alive, repulse, contain, and yes – to end by peaceable or violent measures as necessary over a decade of premeditated attempts at mass murder, well what more is there to say except: to hell with them.